Donuts are a personal favourite of many people abroad and there’s good reason why. They’ll satisfy any need you have for thrills and adrenaline while not requiring any skill whatsoever. 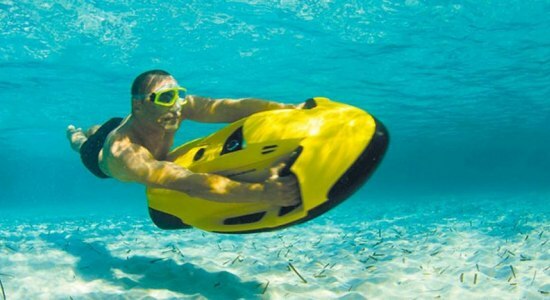 The donuts circular frame and light-weight body mean that once you’re on the ocean, you’ll be picking up your maximum speed in a matter of seconds as you speed across the waves of the ocean. The donut itself has the capabilities of hitting maximum speeds of the jet-ski or boat that is towing it across the ocean. 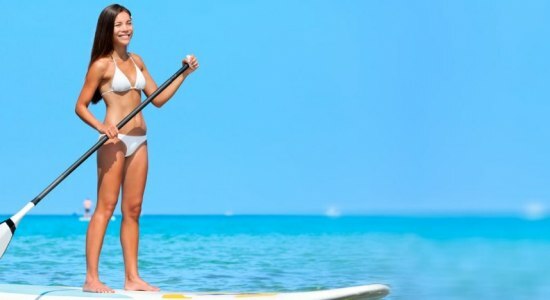 No experience on the water? That’s perfectly fine. All the donut requires of you is to sit down and hold on tight, because you’ll be speeding across waves while the wind blows through your hair. Our donuts are not just for single riders either, we have 1-4 people options which mean that the donut is the perfect opportunity for you to spend time with your close friends or family. The donut is completely inflatable, which means it’s easy to pack and set up, simply blowing air into it with any sort of pump will have it ready to use in minutes. Its ability to shrink back down once it’s deflated means it’ll take up no room aboard and you’ll only ever have to think about it when you’re ready to jump back out there to give it another ride. Whether young or old, the donut is the perfect choice for you. 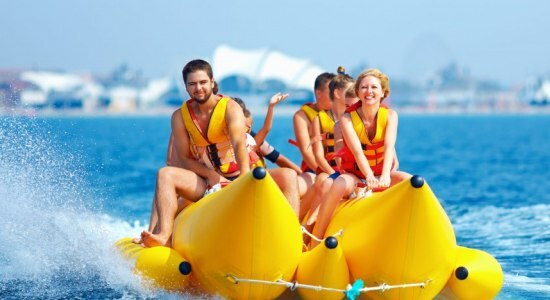 There’s no age limit required to jump on a donut which means that it’s perfect for your young kids to try and seek new thrills across the sea while you seat and relax abroad. Each rider is equipped with their own life jacket. 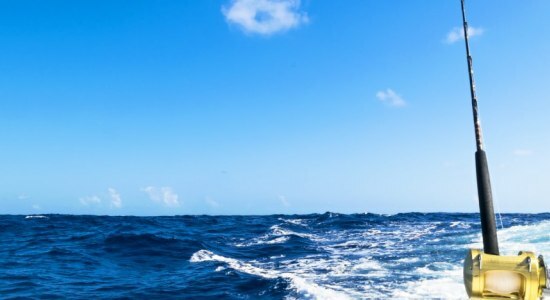 Even while you’ll feel like you’re speeding as fast as you possibly can across the ocean, you’ll still have the confidence in yourself and your donut knowing that you’re strapped in to your life jacket. You’ll never have to worry about their safety during your adventure as there will always be a secure method of protecting them in case of any accidental slip or fall off of you donut. The donut has been perfectly designed for thrill seekers and beginners alike. 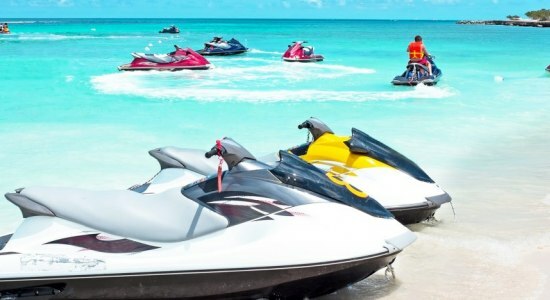 Its high speeds and freedom on the ocean means you’ll be getting your adrenaline fix in no time and while it’s easy to learn, it will have beginners feeling like water sport professionals in a flash. The donut is the perfect option to have aboard whichever yacht you choose to charter and will have your friends and family in fits of pure excitement. Don’t neglect the opportunity for exciting experiences with your loved ones as well as an easy way to try a fantastic sport.